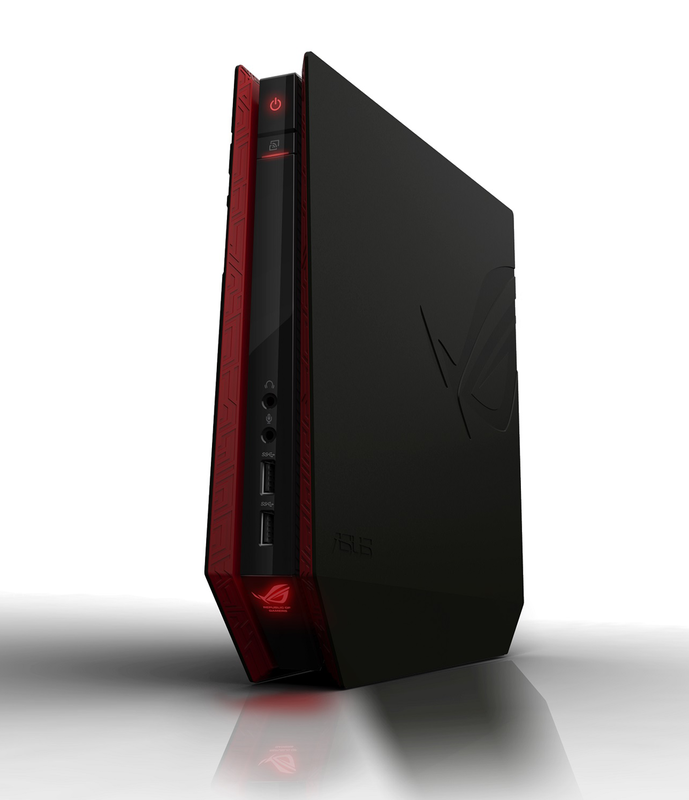 Asus announced a slew of PC gaming-oriented products at Computex on Tuesday (Taiwan time). The new additions to the company’s Republic of Gamers (ROG) lineup include two desktop PCs, a laptop, three motherboards, a video card, and a new display. The early info we received is a little thin, but here’s what we know. The console-sized ROG GR8 Gaming Desktop will ship with Windows 8.1, but Asus says it will also be compatible with Valve’s SteamOS and Steam Controller. 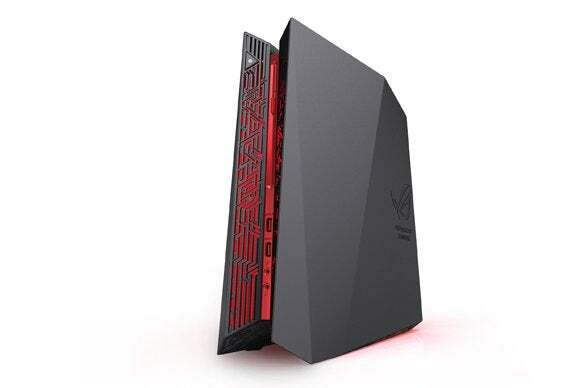 A company press release indicates Asus also plans to “launch a Steam specific model once Valve is ready.” The ROG GR8 will be available with Intel Core i7 processors and Nvidia GeForce GTX 750Ti. The box will have a side panel that allows for quick updates to its memory and storage, but it sounds as though the rest of it will be sealed. 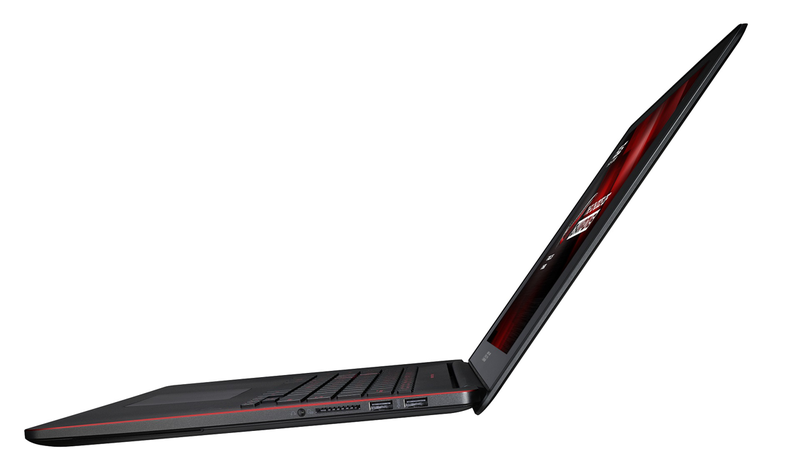 Asus also announced a new 15.6-inch gaming notebook with a 4K display (that’s 3840x2160 pixels). The company claims this laptop is the first in the world to deliver 100 percent of the NTSC gamut (the sRGB standard covers about 72 percent of the NTSC gamut). The ROG GX500 will be based on “the latest Intel Core i7 processor,” according to Asus, along with an Nvidia GeForce GTX 860M graphics processor. Here again, Asus has revealed only that the laptop will be available in North America sometime in the third quarter and hasn’t provided any guidance on pricing. If you’ve been waiting for a monitor that supports Nvidia’s G-Sync technology, it looks as though Asus is finally getting ready to ship its ROG Swift PG278Q display. First shown at CES 2014, the PG278Q features a small circuit board that synchronizes the monitor’s refresh rate to the video card’s rendering output, eliminating visual artifacts such as tearing and stuttering. The 27-inch panel boasts a native resolution of 2560x1440 pixels and refresh rates of 60-, 120-, or 144Hz. It must be paired with an Nvidia video card to utilize G-Sync. At CES, Asus said the PG278Q would sell for $799, but the company didn’t provide updated pricing or availability in its Computex press materials. Moving to component news, Asus announced a new limited-edition water-cooled video card, featuring two of AMD’s Radeon Hawaii XT-class graphics processors linked to 8GB of GDDR5 memory. 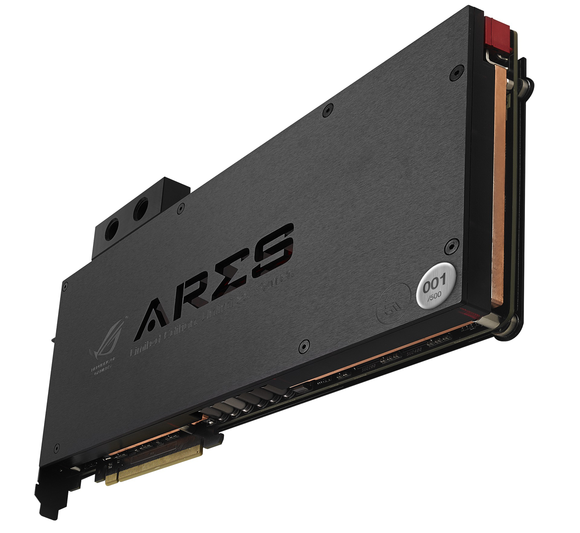 Dubbed the ROG Ares III, Asus says it will produce just 500 of these cards, and each will be individually numbered. The company also announced a new AMD-oriented motherboard. The ROG Crossblade Ranger includes many of the features found on Asus’s top Intel motherboards—including its SupremeFX 2014 audio technology and GameFirst III network-optimization software—but this board is compatible with AMD CPUs that fit in FM2+ sockets. Finally, Asus unveiled two new motherboards featuring Intel’s Z97 chipset. The ROG Maximus VII Formula is an ATX motherboard, while the ROG Maximus VII Impact board is based on the smaller mini-ITX standard. Both models will come with 802.11ac Wi-Fi/Bluetooth 4.0 modules.